Just like it’s LITE predecessor, the NITE evolved into a dedicated orbital propellant depot, but on an interplanetary scale. 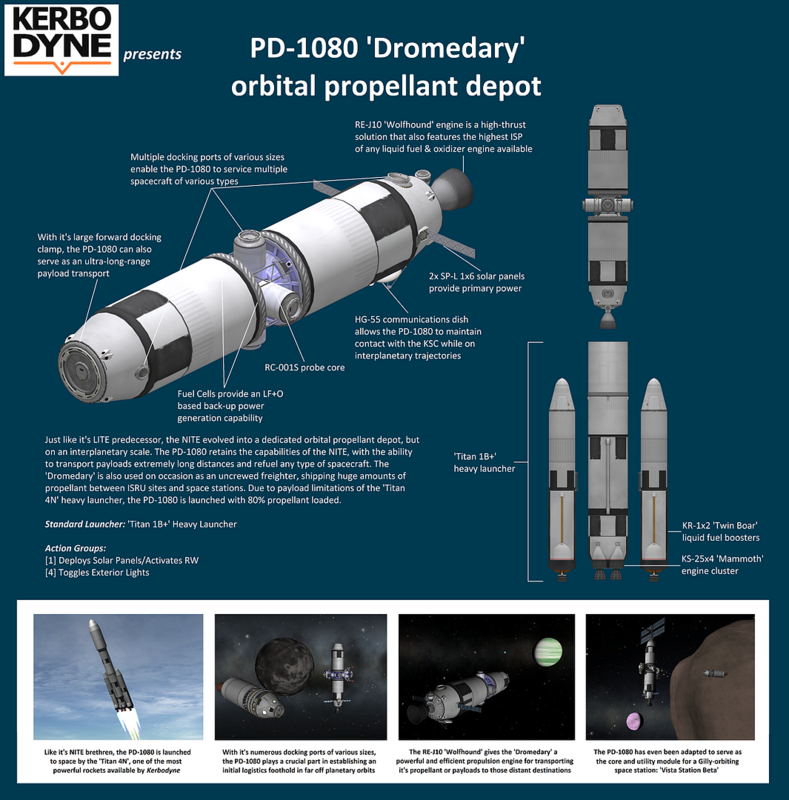 The PD-1080 retains the capabilities of the NITE, with the ability to transport payloads extremely long distances and refuel any type of spacecraft. The ‘Dromedary’ is also used on occasion as an uncrewed freighter, shipping huge amounts of propellant between ISRU sites and space stations. NOTE: Due to payload limitations of the ‘Titan 4N’ medium launcher, the PD-1080 is launched with 80% propellant loaded.